There are several functions in Excel that are useful in finding a given value in a range of cells, such as the SUMIF, INDEX and MATCH functions. This step by step tutorial will assist all levels of Excel users in comparing the lookup functions of SUMIF, INDEX and MATCH. Our table consists of two columns: Product (column B) and Orders (column C). We will use this data to show some of the uses of SUMIF, INDEX and MATCH functions. The SUMIF function sums the values in a specified range based on one given criteria. In the table below, SUMIF is used to add values that satisfy three different criteria. SUMIF is very easy to use, and its syntax is straightforward. We determine the range of data to be evaluated, the criteria, and the range to be added. We use SUMIF when we want to calculate the sum of values based on its contents, or the contents of other cells. However, SUMIF can only handle one given criteria. For multiple criteria, we can use the SUMIFS instead of SUMIF. INDEX function returns a value from within a range, as specified by the row and column number. 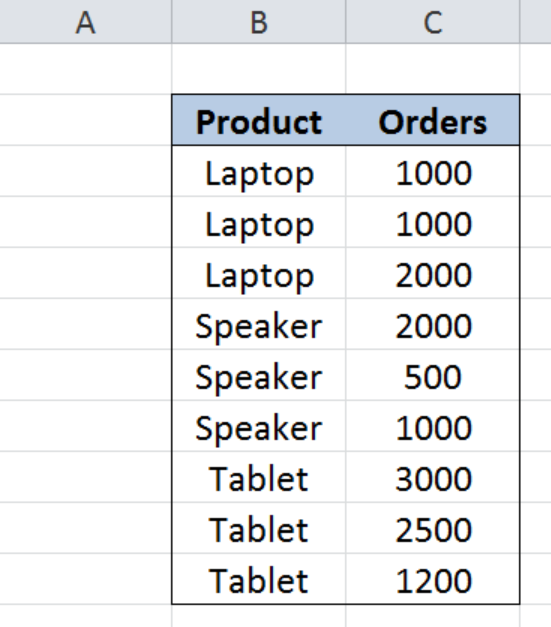 We use INDEX when we know the position of the value in a range or when we want to get the nth item in the list. INDEX can also be used to retrieve the values in an entire row or column. When used by itself, the INDEX function has very few uses, but when combined with other functions, INDEX becomes one of the most powerful functions in Excel. INDEX is easy to use for its basic purpose of returning the value of a cell. However, it takes practice and a little mastery when we use INDEX in combination with other functions especially in looking up values. MATCH function returns the position of a value in a range. We use MATCH when we want to determine the position only, and not the actual value itself. Just like INDEX, the MATCH function also has few uses when used by itself. However, using it with other functions, especially with INDEX, it can create a powerful lookup formula. Below table summarizes the uses, advantages and disadvantages of the SUMIF, INDEX and MATCH functions. Comparison of the three functions shows merits for each of them, and each has its own advantages and disadvantages. The value of each function is only as good as how a user uses them in a formula.